16 to 24 November 2012 : Mark the dates! 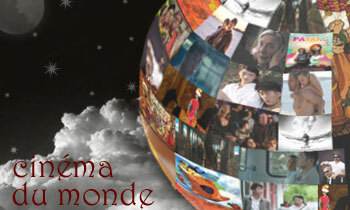 The Carthage Film Festival is back in its 24th session, 16 to 24 November 2012. Mark the dates for more than one reason. Firstly, this is the first edition after Tunisia’s Jasmine Revolution that started the Arab Spring. Mark the dates also, for this session will have the double task of going back to basics and the pioneering spirit of its founding in 1966; a spirit whose relevance and values remain intact, while reinventing an approach that reflects the realities of the 21st century. 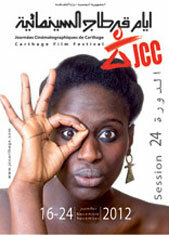 Carthage Film Festival (Journées Cinématographiques de Carthage - JCC) is a biennial international cultural event involving public screenings of films and meetings between their authors, directors, producers, distributors, cast, crew and others. 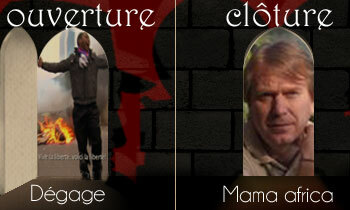 Its aim is to contribute to the promotion of national cinematography in each African and Arab country.